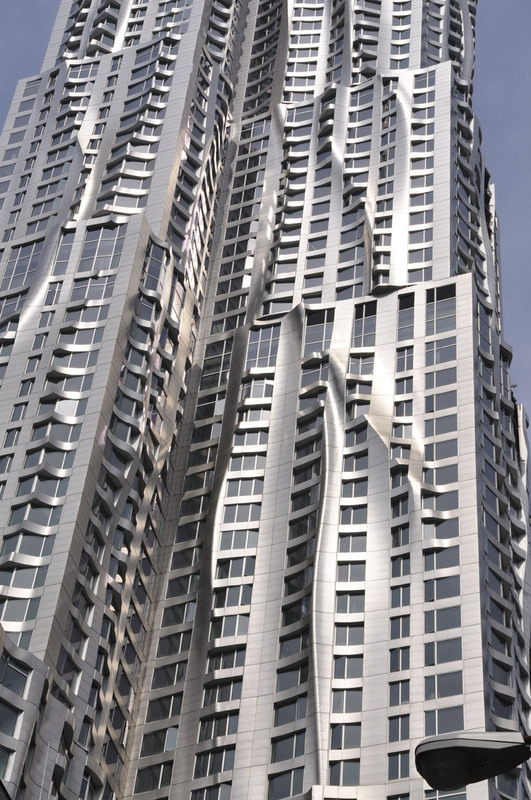 From delivery-truck driver to DeCon Starchitect – Frank Gehry’s Beekman Tower. What does it take to go from zero to the top? Well it is quite easy to look from one side and judge other people by their work and creations. But when you take a step forward and take a look at the inside of how things work, everything takes a slightly different shape. It seems it takes a lot of talent combined with a whole lot more of work, and that is a rare combination. 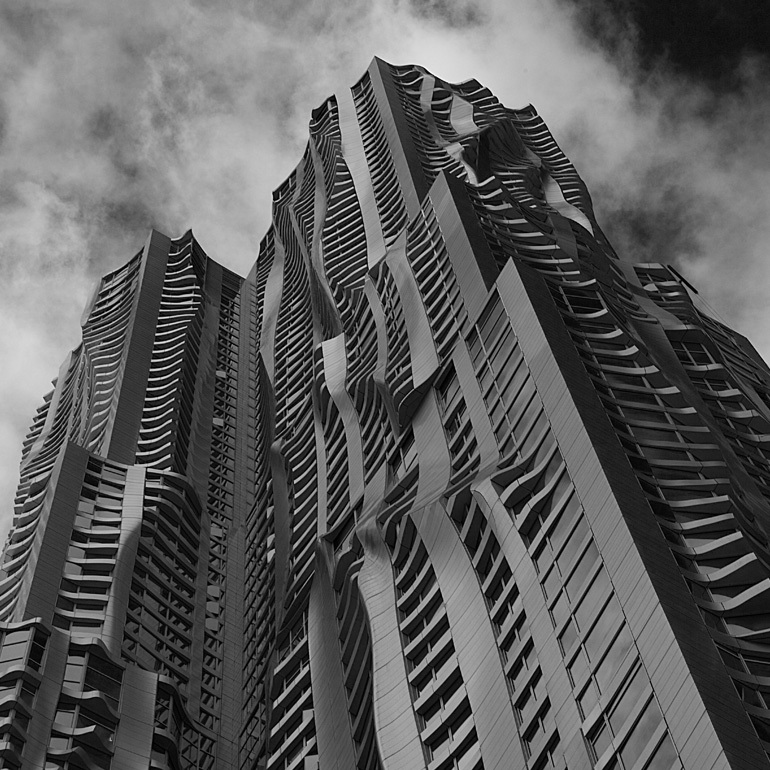 Opinions are mixed upon Frank Gehry’s architectural achievements, since most of them (at least the ones widely known) don’t stand in the usual line of architectural sculptures, but actually stand out, since they don’t consider the usual shapes we are used to. Although we now know him by his more artistic shaped builings, it took a long way from being an architect to being a ‘starchitect’. Before he actually considered being an architect, Frank Gehry used to drive a delivery truck in order to support his different studies at the L.A. City College. It was when he met modern architect Raphael Sorian that he actually decided to follow architecture as a career choice. Although he worked for notable architectural firms he still felt like he wanted to do something different. After serving in the US Army for one year he founded his own architecture firm, Gehry Associates. Although he had designed many buildings in an ‘International Style’, world-wide attention came to him after designing a line of corrugated cardboard furniture that he called Easy Edges, that made the front pages of many design magazines. His next success came after designing his own house. From than time he slowly came in the public attention by creating unusual shaped buildings in a style called Deconstructivism or DeCon Architecture. Some of his most known buildings are the Vitra Design Museum, the Dancing House in Prague, the Guggenheim Museum in Bilbao or the Walt Disney Concert Hall. 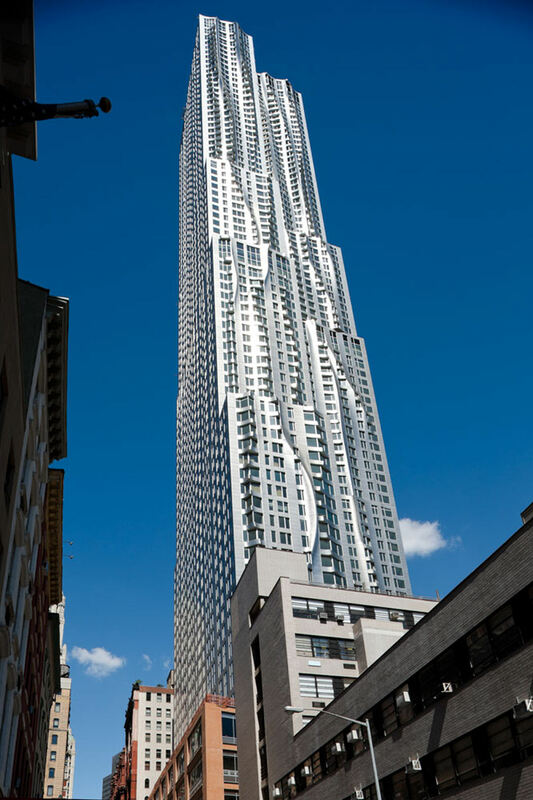 In 2011 another amazing building designed by Frank Gehry was completed. 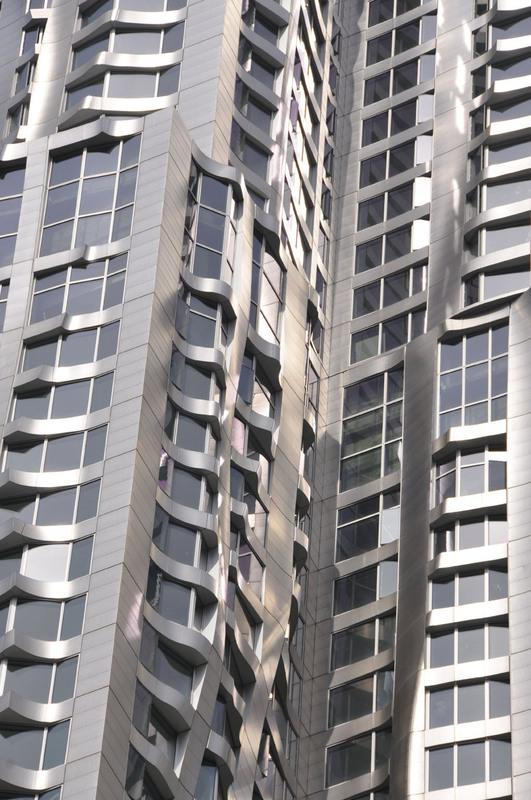 The Beekman Tower is the first residential building in Gehry’s portfolio. 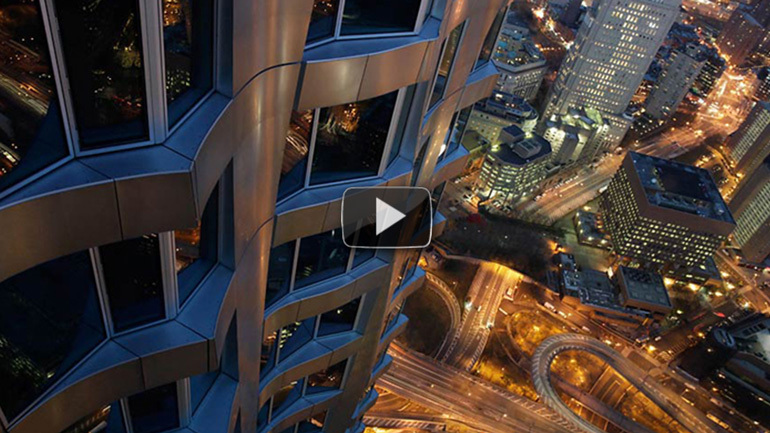 The 265 meters high tower is located in New York’s Manhattan. The construction has a subtle but dynamic siluette which, combined with the metallic panels that it is covered with, gives the impression of a tower whose shapes have been created by the strong blow of the wind. The glow of the material along with its undulated design give the impression that the building is constantly moving, making it to stand out of the usual scenery New York is used to.